This is blog post number 290 over the past four years. Although I slowed down during 2014, I expect to increase the number of posts in 2015 because of the 52 Ancestors in 52 Weeks challenge, in which I am writing about various direct-line ancestors once a week. I also hope to get a few Surname Saturday posts in, among other interesting posts. 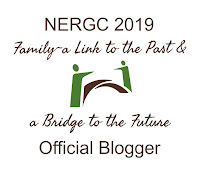 My most recent posts of interest came from the fact that I attended the 2015 New England Regional Genealogy Conference (NERGC), which I enjoyed and blogged about in three posts: NERGC Day 1, NERGC, Day 2, and NERGC Day 3. I hope I was able to give a flavor for what the conference was like. I hope to attend in 2017. In reviewing my statistics for the past several months, I noticed that I am receiving more traffic to my blog. I believe that it's in part due to my being more consistent in sharing my posts via Facebook (with family and those Facebook friends I know are interested), Google+, and Twitter (not particularly active, but generates a little bit of traffic, especially if I write an engaging tweet). Hopefully this means I am reaching more readers (and potential cousins) because people are adding me to their blog readers and coming back for more. 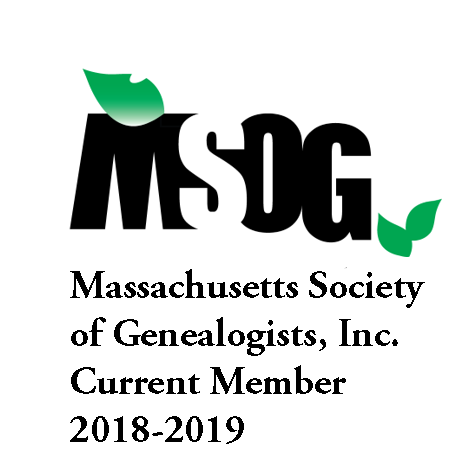 I also recently received the best compliment: My mother told me that since I have been writing my blog that my writing has improved. Thank you Mother! Family members are always welcome to request a blog post about a particular line or ancestor and I will see what I can find out and share! Thank you for reading my blog. I hope you continue to read and enjoy! 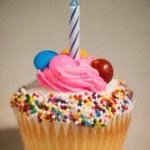 Thank you for the blogiversary wishes!